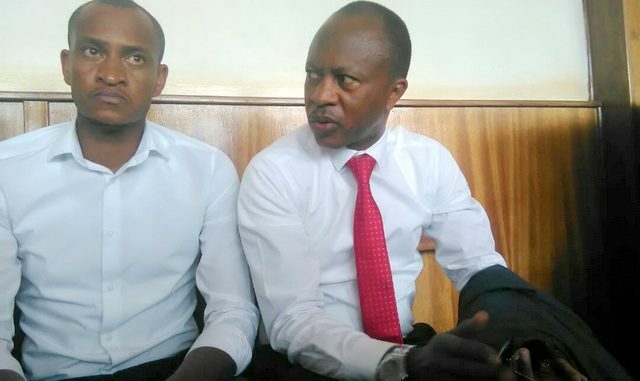 Social critic Frank Gashumba and his brother have pleaded not guilty to charges read before them by Buganda Road Court Chief Magistrate James Eremye Mawanda. 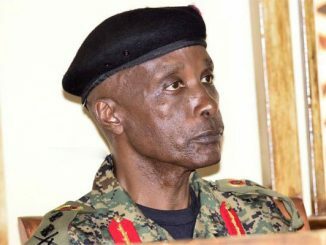 Gashumba, his brother, Innocent Kasumba alias Mutabazi and Ismail Kiyingi are charged with 16 counts including impersonating Dr John Tumwine, the director of Logistics at ministry of Defense, possession of narcotic drugs such as marijuana in Makindye division, conspiracy to commit a felony by obtaining money by false pretense when they offered contracts to Kolgvan M. Dirutop and Manu Meersogh to supply water tanks, trucks, heavy machines and troop carriers to Uganda government. 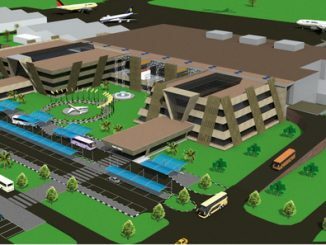 They are also accused of forging the stamps of ministry of Education and Sports, ministry of Agriculture and Forestry, ministry of Justice, ministry of Transport, ministry of Finance and ministry of Defense – all South Sudan government ministries. The trio pleaded not guilty to the charges. During the court session, senior state prosecutor Nelly Asiku asked Chief Magistrate Eremye to remand the accused, saying their bail application didn’t follow the right procedures. “The bail was entertained before the accused took plea. 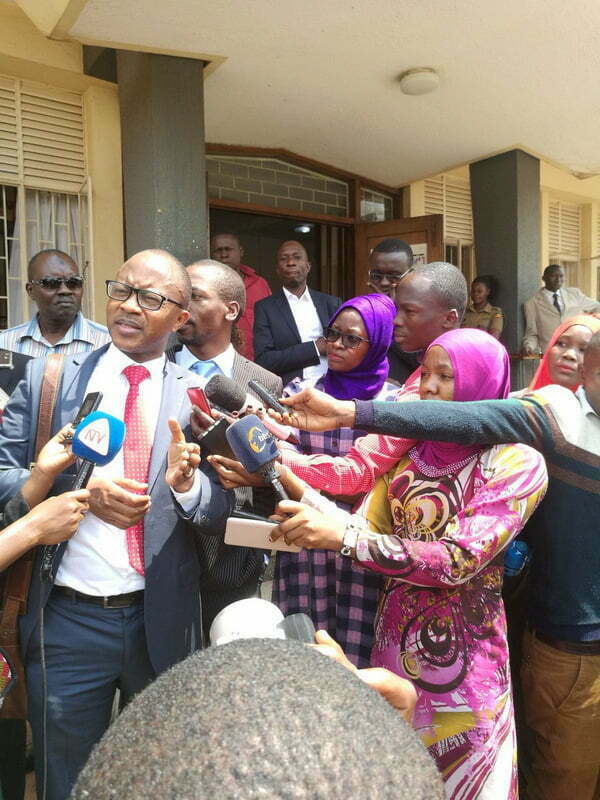 If court cannot follow the right procedures, then Gashumba and the co-accused should apply for bail again,” said Asiku. Eremye released the trio on bail on November 6, 2017 before they could plead to the charges due to the prosecutors’ strike. However, the Defense lawyer, Denis Nyombi objected to the prayer, saying it was a misconception of the court procedure. The trio had spent almost a week on remand when they were released following their arrest in late October 2017. In his ruling, Eremye declined to remand the suspect, saying prosecution had failed to present sufficient grounds to cause the cancellation of their bail. “Having listened to both submissions of the defense and the prosecution, now that the accused have pleaded innocent against the charges, I shall not cancel the bail but instead I’m adjourning the matter to February 19th to allow prosecution to conclude its investigations,” said Mawanda. 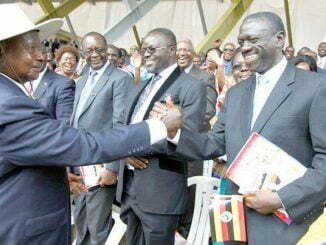 Gashumba told this publication that they were prepared to defeat the false accusations against them. “I will continue reporting to court as ordered by the chief magistrate, and I am very grateful to court and the magistrate that he stood his ground that there’s no way he could cancel bail because he is the same person who issued it. I hear Tulip [Golden] hotel, I don’t even know where Tulip hotel is…The interest of the state is to break me down, humiliate me, demean me but trust me I’m prepared for everything and trust me I’m back to speaking against the injustices,” said Gashumba. Gasahumba also criticized the submissions of the state prosecutor before court. “Something that you guys must know is these are not new charges. I took a plea this morning because I think the last time we appeared before a magistrate I think the prosecutors were on strike. But what shocked me today, the prosecutor wanted Gashumba remanded to Luzira that today I have pleaded innocent. It beats my understanding and sometimes I doubt these lawyers if they went to law school. Court granted us bail, it gave terms which we fulfilled and we have been reporting to court and I thin we need to pray for her. At times you see human beings in court but they are possessed,” Gashumba added.